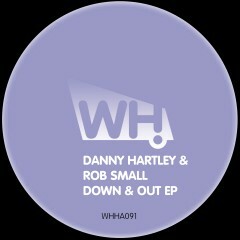 Leeds based producers Danny Hartley and Rob Small team up for a quality 3-track EP. Danny Hartley has had great releases on Soulman Music, PlayNow and TUG Underground where Rob Small is actually the co-owner. Rob is regarded one of the finest mastering engineers around and a highly skilled producer with tracks out on Younan Music, Soundz, Monique Musique, 3am Recordings and more. Danny is solo on the first two tracks named Down & Out and Suffy’s Poem. They unite for the grand finale of the EP called Unspoken Violence. As you would expect, these productions are of the highest quality and we are pleased to have the talented guys on board.